NASHVILLE, TN — Every birthday deserves a day of festivity; but when it is the one hundredth birthday, it merits a year-long celebration. 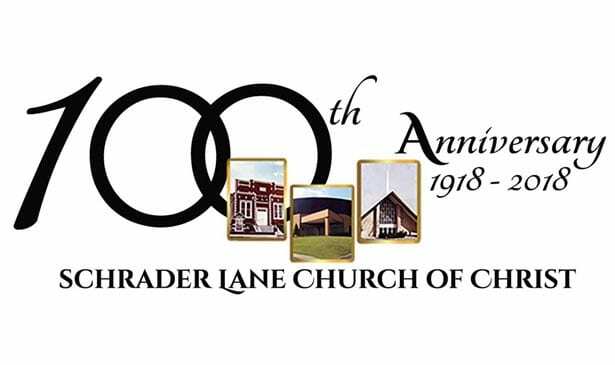 Rejoicing because of its one hundred years, as a thriving congregation, is exactly what the Schrader Lane Church of Christ is doing this year. The flock began in May, 1918 in a storefront building at 1400 Jefferson Street. Growth of the church led to its move to 2521 Jefferson Street in June, 1927. There, in a beautiful brick building, built by the church’s members, the congregation flourished. Its building became a symbol of stability in the Nashville community. However, the construction of Interstate 40 forced the church to once again relocate. Today, a portion the westbound ramp to Interstate 40, from Jefferson Street, occupies part of the ground on which the building proudly stood. In its new location, at 1234 Schrader Lane, a building, designed to accommodate 650 worshippers was completed under the leadership of the congregation’s minister, Dr. David Jones, Jr. in 1967. In addition to the auditorium, it included twenty-two class rooms, a kitchen, a fellowship hall and three offices. By the early 80s the church’s growth necessitated having two morning services to accommodate its burgeoning membership. Continuing to grow through engaging sermons, diverse ministries and consistent community involvement, God enabled the congregation to complete construction of an adjoining eleven-hundred seat auditorium, along with other needed spaces in April, 1993. The centennial celebrations are centered on the people and accomplishments of the church’s storied generations. Effective leadership and dedicated members are hallmarks of the congregation. Consistent with its New Testament moorings, the church has been overseen and served by elders, ministers and deacons. Only four men – M. F. Holt, Oliver Thompson, Dr. David Jones, Jr. and Robert Gardenhire, have served as the congregation’s salaried ministers. The longest tenured minister, Dr. Jones, served for over 52 years, retiring in 2015. Jones’ visionary leadership led to the expansion of ministries, missions and milestones that paved the way for years of continued impact locally and abroad. 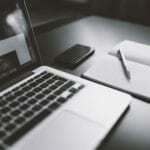 The current minister – Gardenhire, the elders, ministers and deacons are committed to continued success through God’s guidance, attention to the church’s vision and nurturing its members in its multi-faceted culture. Gardenhire notes that engaging the younger generations and having them participate in building the legacy for the future is paramount for ongoing success. The centennial celebration has featured events in which senior members have rehearsed the inspiring history of the church. A reenactment of an old fashioned tent meeting resonated with older members and intrigued youngsters. Children of the church have learned by reading or reciting key historical facts about the church. Each activity, planned and conducted by an enthusiastic group of centennial volunteers, under the leadership of Dr. Earlie Steele, Centennial Chairwoman, has been a rich reminder of the many blessings God has given the church during its one-hundred years. True to its vision, the congregation has over 50 ministries, including missions in Cameroon, Haiti, Belize and other locations. It operates two high-quality child care centers, a state-of-the-art assisted living center, an independent living center and an empowering community service entity, as part of its ongoing commitment to serving others. This month, the church will enjoy a centennial gala, as well as centennial homecoming services. On Sunday, June 17th, the entire congregation will worship at a 9 am service, enjoy a meal together and conduct the various activities associated with the homecoming at 2 pm. This year’s guest minister will be Dr. Archibald Hamilton, minister of the Northside Church of Christ, West Memphis Arkansas. Hamilton’s grandparents were long-time influential members of the congregation. Thank God for the congregation’s one-hundredth birthday.